Board game collection getting too big? Need to clear some shelf space for those Kickstarters arriving soon? 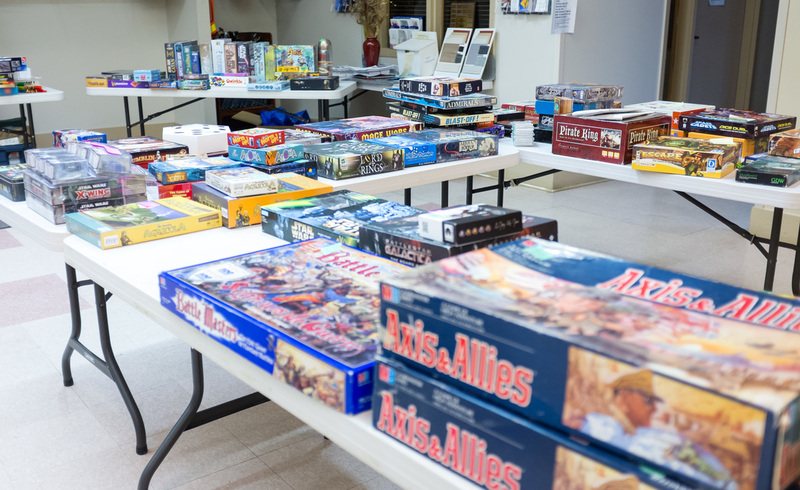 Sell your used games and gaming-related items at our garage sale, and together we can find them a better home. Or are you a bargain hunter looking to nab a hard-to-find copy of some game? Come check out our tables and maybe you'll find something to add to your collection. Draft a full list of games you would like to sell with respective prices. Include the name(s) of the owner/person collecting at the end. Disclaimer: No volunteers, organizer, or venue of this event will be held liable for any lost, stolen or damaged items.